Are you planning a romantic weekend in Holland? Think about going to Amsterdam. It may sound like ‘the big city’ for bachelor parties, going out and big festivals; but in Amsterdam there are plenty of calm places and back areas to relax and enjoy the calm parts of the city. And it is always nice to go for some nice drinks and bites during a romantic weekend. That’s why you should reserve your spot at a cheese tasting as a part of your romantic weekend! The best way to explore Amsterdam? The best way is the Dutch way: by bike. Of course there is the option for public transport to go from one part of the city to the other, but if the weather is nice it is better to go by bike. You are able to move through all the little alleys and streets, you won’t be bothered by traffic jams and how romantic is it to wander through the city hand in hand by bike? You can rent a bike at different places throughout the city, for example at the central station (NS) but there are also more private companies to rent a bike. During a romantic weekend away with your love, good food and drinks can’t be missed. Go for an extended lunch or dinner at one of the top restaurants of Amsterdam. After your lunch you can get back on the bike ot explore the city further. Take a look in one of the many special museums in Amsterdam. Amsterdam knows or bring a visit to one of the nice shopping areas in Amsterdam. Is it four a clock? Then it is time for some drinks and bites! Reserve yourself a spot at the cheese tasting of the Old Amsterdam Cheese Store and come join the party at 5 pm. 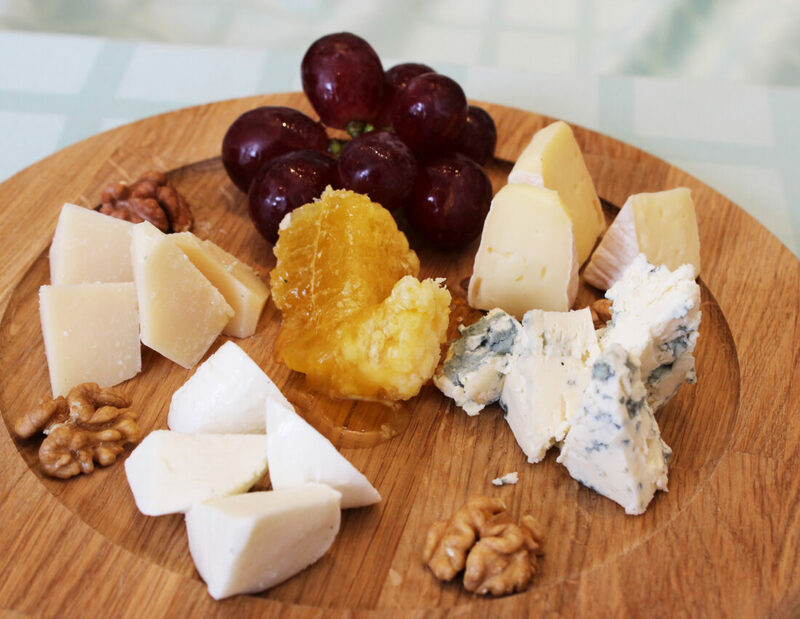 During the cheese tasting you will taste 5 different cheeses with suiting wines. The wine-cheese combinations are set together by a sommelier. During the cheese tasting a true cheese expert will teach you everything about how the cheese is made, the secret of the Westland family and there is an interactive quiz. The winner gets a nice little present to bring home. Mind this! The location of the cheese tasting is only accessible by stairs. De cheese tasting is in the Old Amsterdam Cheese Store at the Damrak, which makes it the perfect location for doing something fun afterwards. For example: combine the cheese tasting with an Escape Room or go for a lovely dinner (after a while when the food is dropped a little) in one of the many restaurants Amsterdam has.